Blackberry Messenger for Windows PC and Mac, BBM 2.0 for Android and iOS is officially released today by Blackberry, Though BBM was once the favorite messaging app of mobile users the scenario has changed significantly as users started shifting to new apps like Whatsapp, Wechat and the recently launched telegram messenger which offered better security and privacy to its users. 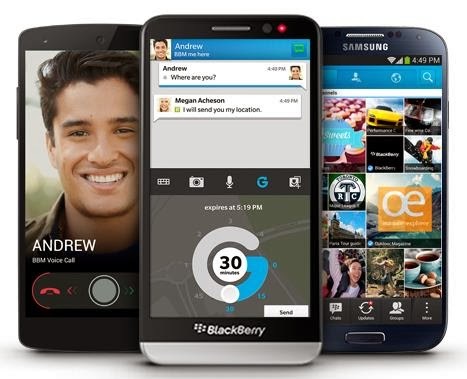 There hasn't been any major update to the BBM in terms of added features in recent times but now Blackberry has introduced some features with the latest BBM 2.0 to regain the top spot in the messaging apps market which is currently occupied by Whatsapp. 3. Location Sharing: Let your friends know where you are right away by sharing your location with them. 4. Dropbox Support: The BBM 2.0 comes with dropbox integration so, you can directly save photos or files you receive to your Dropbox account. 5. Emoticons: 100 cool new emoticons have been added to make express yourself the way you want. You can also install the app by downloading the BBM 2.0 APK and open it using bluestacks app player.